Side by side comparisons and reviews. This article was taken Directly from TeamMFactory.com ‘s website and is unedited in any way. It helps to address a big misconception about the quality difference between Metals and help to get some truth from the internet hype. A BIG misconception is that Billet means ‘unbreakable and the best you can get’. This is simply not the case, and is just one of those things that are passed down the internet grapevine. As you can see, Billet simply refers to the type of ‘cut’ that is purchased from the foundry/supplier. This is also the reason why you can have ‘Cast Billet’ as well as ‘Forged Billet’, as Billet just refers to the shape and not the process. So why do so many companies misuse this term? Simple, they are playing on the fact that, to most of the general public,‘big is better’, and there is nothing bigger or better than something cut from a solid bit of metal (or so they seem to want people to think), therefore preserving the grain flow from the original ‘cut’ of metal. Cast: The ‘cut’ is molten and poured into a ‘cast’ which takes the rough form of the item to be produced, cooled then usually put onto a cnc machine to be finished e.g Camshafts. No grain flow is present nor does the item have an increased directional strength. This is the most cost efficient method of steel-product manufacturing, but the end-product is not as strong/durable as the ‘cut’ it was made from. 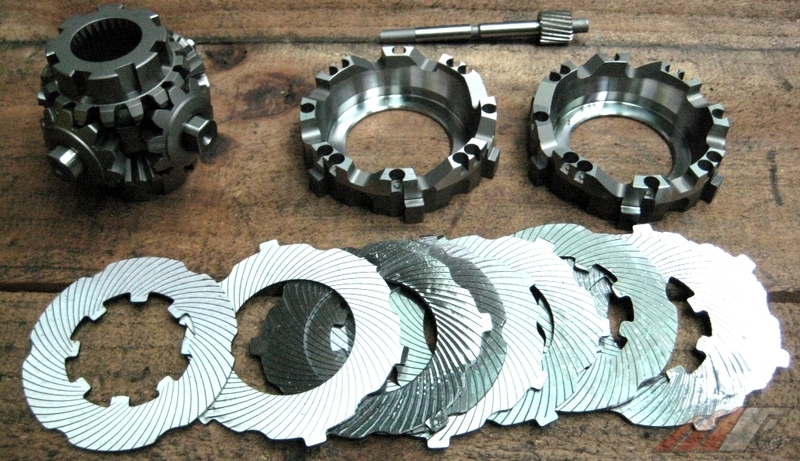 Machine Cut: This is what companies are referring to when they say ‘Billet’. The ‘cut’ is simply placed directly onto the cnc machine and is cut until finished. Most companies will preach ‘Billet’ as being the strongest as it retains the original grain flow as the ‘cut’, however, this grain flow is uni-directional, therefore on items which are not symmetrical (i.e Gears), the machining exposes the grain ends which makes the item more susceptible to fatigue and stress. This is a very cost-inefficient method of steel-product manufacturing (due to waste material), but is the most versatile of all methods when it comes to custom one-off items and, where a ‘cast’ item is not strong enough, this method is used for small-quantity production. The end-product is only as strong as the ‘cut’ it was made from (heat treatment etc aside), which is why the choice of steel is important. Forged: With the most commonly used method, the ‘cut’ is heated and placed into a special kind of tooling called a ‘die’. The heated metal is put under extreme pressure and forced into the shape of the ‘die’. Unlike the ‘cut’ that it once came from, the grain flow is directional and has been orientated in a way to increase strength/toughness (i.e increases steel ductility and impact resistance). Also, as no grain ends are exposed, a forged item is less susceptible to fatigue and stress. In short, the forging process adds an approx. 30% increase in strength/toughness over the ‘cut’ it was made from. Although this is a very cost-efficient method of steel production, the initial tooling costs (i.e the dies) are extremely expensive, thus it is required to manufacture in high quantities to ‘break-even’ on the initial expense. This is the reason why most performance aftermarket transmission companies, including the larger ones such as Holinger, Quaife, Hewland etc manufacture gears from ‘Machine Cut’ rather than ‘Forged’ as they are not required to manufacture their products in high quantities, and is also the reason why ‘Billet’ components are generally far more expensive in comparison to Forged Components. It is NOT because ‘Billet’ is stronger than ‘Forged’ and you should be wary of any company who misleads you into thinking so. If the consumer is willing to invest in the high tooling costs associated with a Forged Component, the manufacturing possibilities are endless. At MFactory Competition Products, we take care of this for you! This is not to say machine-cut gears (i.e The majority of aftermarket transmission products on the market) are not strong, far from it. Vice Versa, not all Forged products on the market are strong either. The main factor as to the strength/durability of a gear is the grade of steel used, the material processing involved as well as the design of the gears. 4340, 8620 and 9310 are very commonly used grades due to their inherent strength/durability properties. As you can see though, ‘like-for-like’ (i.e same grade of steel, treatment, finishing etc), Forged Transmission Components will always be stronger and more durable than Machine Cut (aka Billet). In addition to this, as all of our customers can attest to, the superior grades of steel and advanced material processing that are used in all Genuine MFactory Forged Transmission Components are never just ‘like-for-like’. Why pay more for an inferior product?